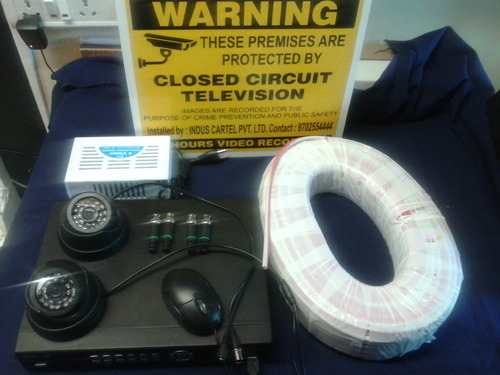 We offer CCTV systems on Rental and also on Lease . Be it an Office ,Apartment ,Shop or Society We can provuide the most realiable system at the most economical price . We have various packages which include indoor and Outdoor cameras with nightvision and digital video recorders with a recording range of 1 month upto 3 Months . Leasing /Renting allows you to treat the purchase of a new CCTV system as a revenue expenditure rather than a capital expenditure . Tax Efficient Lease rentals are normally 100% tax deductible meaning that all payments can be written off against your taxable profits. Normally one monthly payment is adequate for the initial deposit. Rentals are fixed and not subject to inflation or interest rate hikes. This allows you to budget with confidence that costs will not rise. If you need to install CCTv and do not want to shell out a big amount ,Call us and we will send our local representative to meet you . Renting only makes sense for short term periods between 8 and seventeen weeks. For longer periods the actual purchase or purchase lease would be more beneficial to our customer.